The UK has shown a positive commitment to increasing energy from waste through Anaerobic Digestion (AD) as a result of a number of fiscal and environmental drivers. 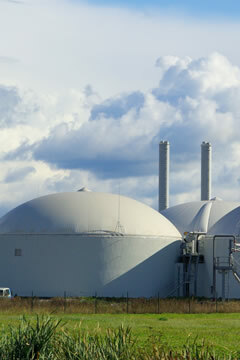 The core biological processes, that occur in an AD ‘Biogas Plant’, are capable of converting and treating a vast range of organic materials derived from a wide range of sources. The AD process can be used to create green electricity, biogas for use as vehicle fuels, or can be upgraded into bio methane for injection into the national gas grid. By-products of the AD process include digestate, which is an effective fertiliser, (readily taken up by grasses and crops) capable of displacing expensive nitrogen based fertilisers. In the last few years, the AD market has seen sustained growth and it is now very much a mature industry sector having seen a significant increase in the number of AD plants deployed in the UK since 2010. This sector now offers great opportunities for the UK to export its capabilities and experience around the world. 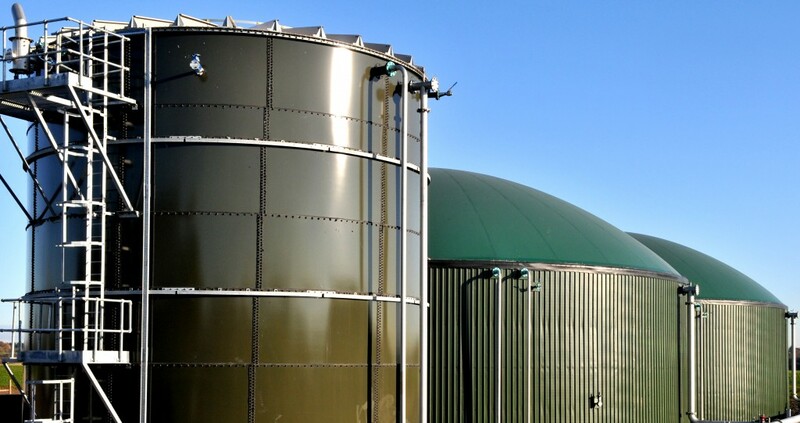 For over 35 years, PM PROjEN have been involved in anaerobic digester design and build of a variety of complex process plants and we are a key player in this particular sector, providing award-winning and peerless expertise. The PM PROjEN AD/Biogas team consists of a number of individuals who have been involved with some of the UK’s most iconic AD and Biogas installations. The team is headed by our Engineering Director Nevin Elliott who is supported by Dr Les Gornall and Dave Auty – probably the best known and most respected members of the AD community in the UK. PM PROjEN’s reputation and presence has grown significantly as many realise that our design and build experience coupled with our expertise in health, safety and legislative compliance makes us an ideal partner for AD/Biogas developers and builders alike. Despite pressure from suppliers over the years, we have resisted the temptation to limit our technical solutions by adopting a specific manufacturers technology, in short we remain, (and always will) technology agnostic.